Looking for A No Credit / Bad Credit Car Loan in BC? "Credit Problems are no problem at Elite!" Sometimes you need a little extra help with your financing. Struggling with bad credit can add to the stress of running your own business. Our onsite credit specialists have been helping consumers find bad credit car loans in BC for over 15 years. Running your own business can lead to some bumps in the road but doesn't change your transportation needs. Whatever your situation, we can help you find a vehicle that works for you and will work with a variety of lenders to get you approved with a payment you can afford. When choosing a new car after bankruptcy we recommend selecting a used vehicle that is reliable and valued at $10,000 - $15,000 or under. A high quality used vehicle will meet all your transportation needs without sacrificing the special features you enjoy. Having an auto loan when you have bad credit can help you rebuild your credit score. Consistently making affordable monthly payments rebuilds your relationship with lenders over time. 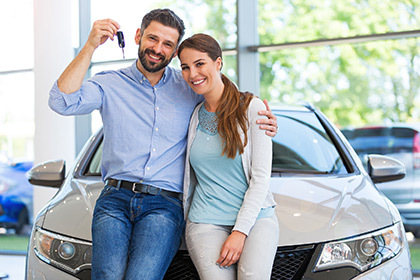 Choosing the right auto loan is important to keep your credit rebuild on track. Don't let bankruptcy or business struggles stop you from getting the dependable used vehicle you need. We will work with you to get you approved on a quality vehicle, help you improve your overall credit, and get your career or business back on track. Contact Elite Auto Centre's credit specialist Rachelle at 1 (888) 625-6547 and discover how easy it is to drive away from bankruptcy and get a car loan with bad credit.